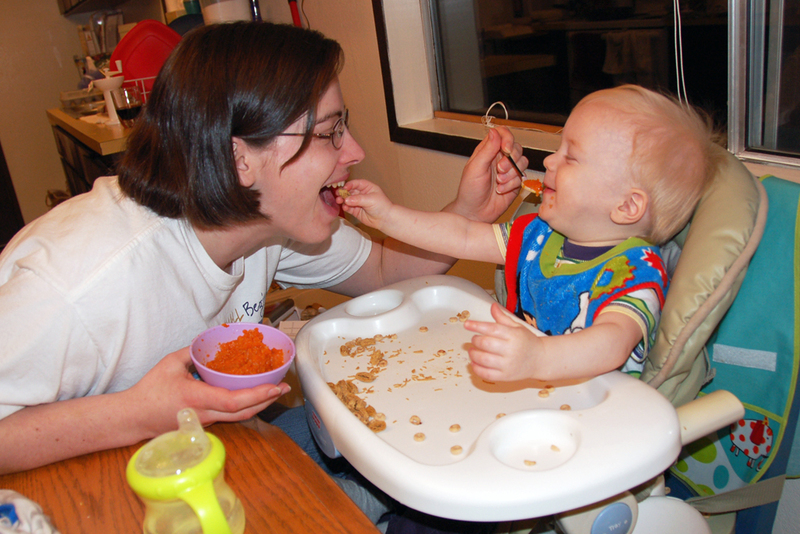 I was feeding Noah dinner and he was feeding me his cereal pieces. Then he shared them with Daddy too. He thought it was hilarious! =D Definitely made me smile! That is just so sweet! I miss those days.